Come take a look at this great remodeled Pool home with 3 bedrooms +den and 2 baths before it is gone! 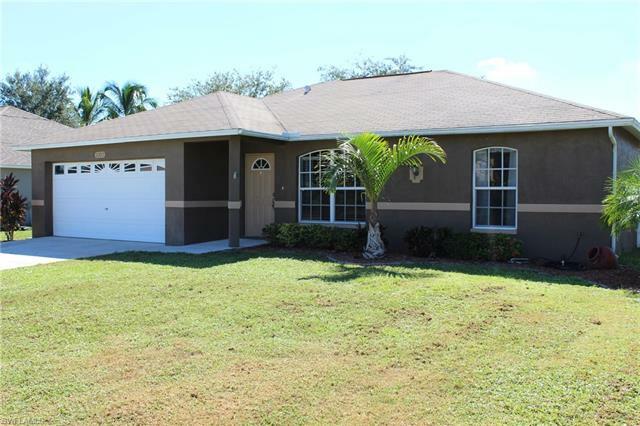 Located in a desirable SW Cape Coral neighborhood, with all assessments IN AND PAID in full! As you walk in you will notice the great features and details like wood look porcelain plank tile, volume ceilings with up lighting and ceiling fans with remotes. You are going to want to cook in this outstanding remodeled island kitchen that boasts Stainless Steel Appliances, touch kitchen faucet and many high-end finishes. The two guest bedrooms are complete with a Jack and Jill bathroom. The Master bedroom features a walk in closet and a completely Remodeled bathroom with a Granite countertop and Tiled Shower. Now to the back yard, featuring a Heated, Salt Water Pool (both added less than 2 Years Ago) with Southern Exposure to soak up the sun. The lanai is under truss with plenty of room for dining and entertaining in your screened in pool area. In addition to the enclosed lanai, you have plenty of yard space with a privacy fence around the entire back yard for your fur babies. Close to schools, restaurants,shopping and many local amenities. Call today to set up a showing.